A new subtle light fragrant concentrated laundry liquid from Ecoleaf. This eco-friendly laundry liquid produces up to 25 washes and has the ability to clean clothes at just 15C. Not only this, but the new bottle is recycled making this even kinder to the environment. Water, fatty alcohol ethoxylate, sodium lauryl sulphate, monopropylene glycol, alkyl polyglycoside,trisodium ethyleneaminedisuccinate, polypropylene terephthalate, soap, benzisothiazolinone, sodium citrate, citric acid, fragrance butylphenyl methylpropional, alpha-isomethyl ionine. The Ecoleaf Concentrated Non-Bio Laundry Liquid - 750ml - 25 Washes product ethics are indicated below. To learn more about these product ethics and to see related products, follow the links below. I found that this product was ok. The scent was quite nice but too strong, and not everything came out of the wash clean, there were some marks. I've moved on to a different product, this wasn't worth the price. 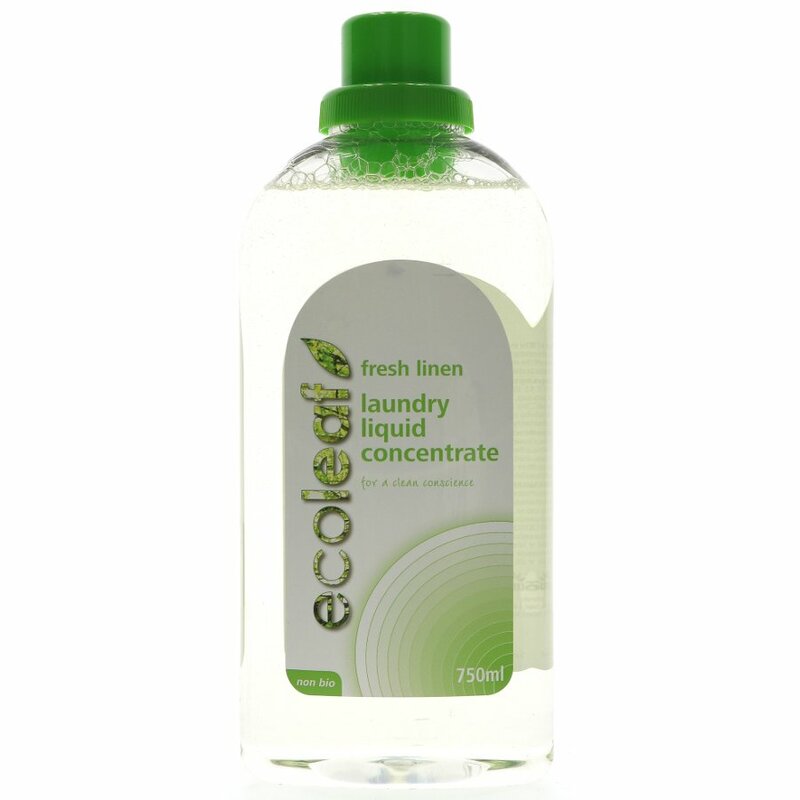 There are currently no questions to display about Ecoleaf Concentrated Non-Bio Laundry Liquid - 750ml - 25 Washes.